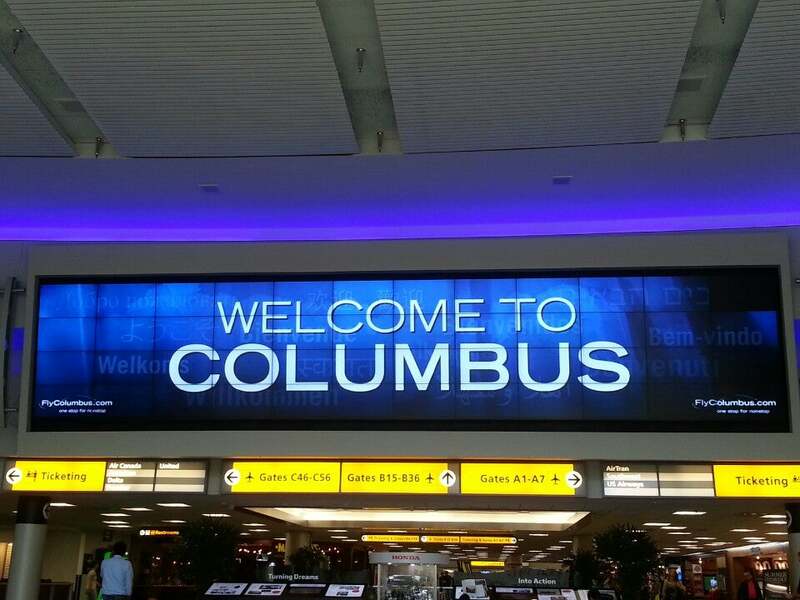 Port Columbus International Airport is major airport located in Columbus, Ohio, United States and serves domestic and international flights to 142 different destinations, connecting Columbus, Ohio with North America, South America, Asia, Europe and Oceania. The most popular destinations to fly to from Airport are Atlanta, Detroit Metropolitan Wayne County Airport, Chicago O'Hare International Airport, John F. Kennedy International Airport and LaGuardia Airport . The longest flight you can take is to Metropolitan Oakland International Airport (5:11 hours) .